Greg Burrus and the entire Burrus Architecture & Construction team are highly regarded in the Norton Commons neighborhood; not just by our team, but by the many home and business owners for whom they have built structures. 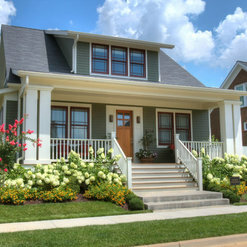 Their gorgeous work has received numerous awards and recognition, including the 2015 Best of Houzz Design Award, inclusion in the AIA-CKC 2013 House Tour and Best Home Design for the Homearama that was held in Norton Commons in 2011. 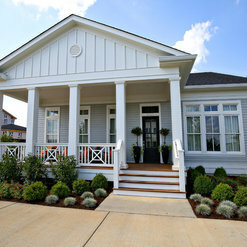 This award stands out, as it was selected by the public who voted during their Homearama visit. However, none of these awards are greater than the repeat business and continued referrals Burrus receives from their customers. We have heard from many neighborhood homeowners who have turned to the Burrus team more than once to build and/or renovate their homes due to the consistently high quality and outstanding level of customer service they received. We picked Greg Burrus as our builder in Norton Commons after going to an architect open house. He had built that house and we liked the quality of it. 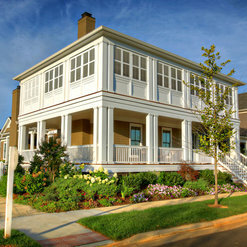 Burrus Arc is a personal company, where we got to work directly with the builder from start to finish-no middle man. All the costs were stated upfront, there were no hidden costs. He is more expensive than some other builders, but what you get in return is great quality. He took time in building our home, listened to and incorporated all our ideas.. We moved into our home a little over 2 years ago and have enjoyed our custom home immensely. We do not anticipate any problems in our home, but know with confidence that if anything goes wrong, Greg will fix it for us. He works with his lovely wife, Jeanie, who is an absolute pleasure and his associate, Scott Tomen, nicest and hardworking man. 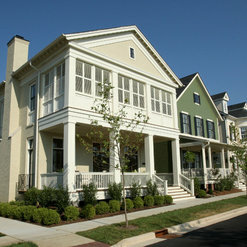 We highly recommend Burrus Architecture & Construction. 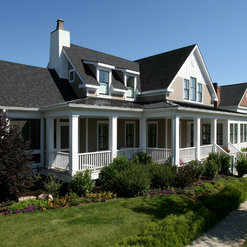 Burrus Architecture custom designed and built our home in 2010. We frankly expected a long and trying experience- instead, our home was completed on time, with integrity and superior craftsmanship. The few items we wanted addressed on our punch list were attended to quickly and professionally. After six months, Burrus Architects added a custom fireplace to our screened porch- again beautifully constructed and completed on time. Four years later, our home is still in perfect condition. 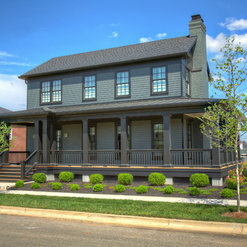 We highly recommend Burrus Architecture to anyone building a home near Louisville Kentucky. The best way to describe if one likes or dislikes their builder is if they continue to work with them. 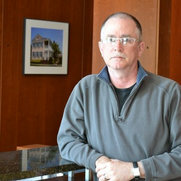 Greg Burrus built our Norton Common House 10 years ago. We chose his construction over others due to his creativity, craftsmanship, and quality of materials. When ever we've needed him he has always been their immediately for us. So when it was time to finish our basement 5 years later, Greg was our first choice. No he wasn't the cheapest. Their are plenty of cheap builders around. He is the best and there is no free lunch. Now we are talking to Greg about a major addition or perhaps even a new house. That's how much we respect the work he does along with his associate Scott Tomes. 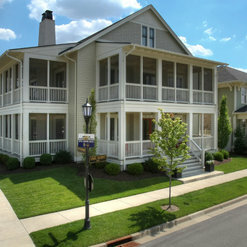 So if you are looking for a quality builder...Look no further than Burrus Architecture & Construction. I also noted a negative review on Google. It is obviously a fraud most likely by a competitor. First for what it says and factually for what the claim about the way things are done in Norton Commons. Google will not remove a comment even after protest and hence it is still inappropriately here. Commented: FlooringIt's rustic hickory with a clear, acrylic varnish, 3 coats. No stain. Commented: Who makes furniture?This outdoor furniture actually came from Costco. I don't recall the manufacturer.